What do I need from you, you ask? nothing much, but it is everything. After several years as a business executive, opera singer, and general seeker-after-enlightenment, Nancy Calhoun has found her calling as a poet. 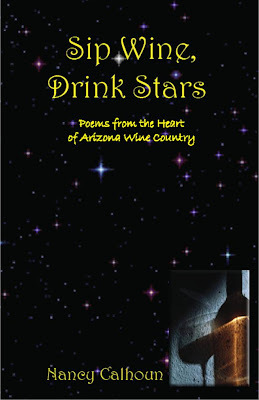 Her first collection is entitled Sip Wine, Drink Stars and is available here, along with more about her and her work. Nancy lives in southeast Arizona’s wine country, and writes beside a panoramic view of mountains, grasslands and wildlife.